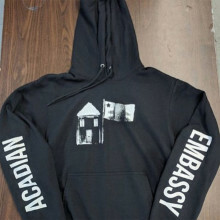 …post-rock powerhouse announces Halifax show and releases back catalogue material to streaming services. 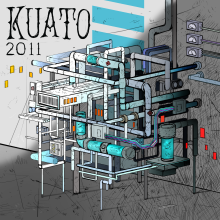 Nearly four years after slipping quietly into hibernation, Kuato awakens. The acclaimed instrumental post-rock powerhouse reanimates for a one-night-only performance at The Seahorse Tavern in Halifax, NS on Friday, April 26. 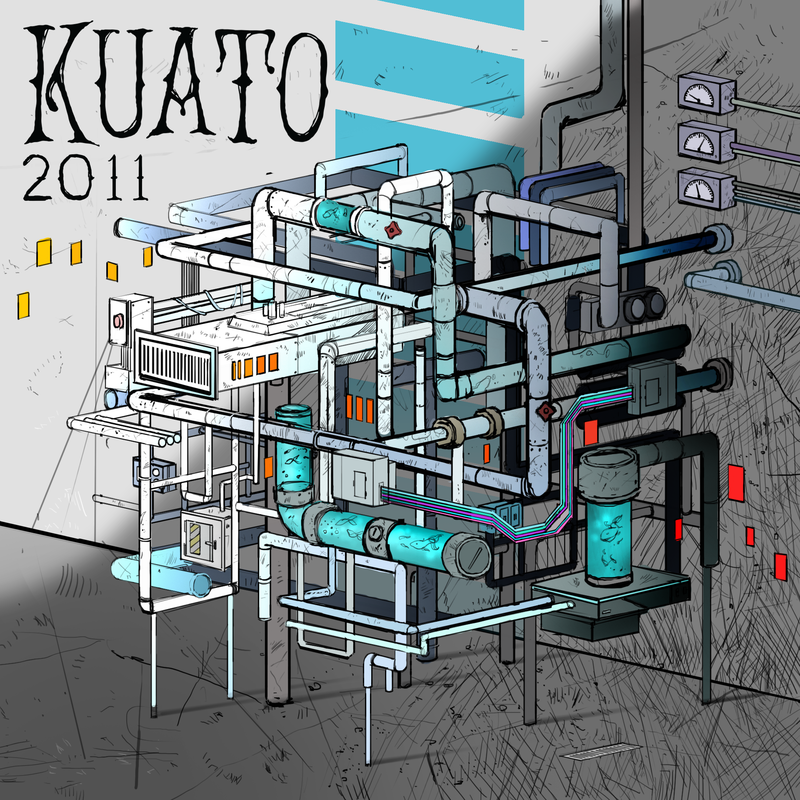 Ahead of the show, the band releases 2011 – a four-song EP that gathers material from their back catalogue previously unavailable on digital service providers. A compilation of the band’s favourite tracks from both the Summer and Winter EPs, 2011 features brand new artwork from James Farrell – a visual artist once part of Kuato’s inaugural incarnation who would later conceptualize live paintings during their shows. Stream the album on your platform of choice by clicking HERE. I never call you anymore. Crashing through the foggy banks of Nova Scotia’s South Shore, Rain Over St. Ambrose returns with “Dedication.” The single is the first new music from the band in over three years and is available to stream on all digital platforms. Click HERE to listen. A frenetic drum fill sets the pace for the pop-rock quick-hitter out of the gate. Wasting no time, a bouncing bass riff and ethereal guitar lines coalesce under verse lyrics reflecting inevitable changes acknowledged through the callous passing of time. Brief omens of levity and hope – presented both in the anthemic choruses and the Dire Straits-influenced bridge – infuse “Dedication” with a silver lining; an anchored reverence in the face of transformation. 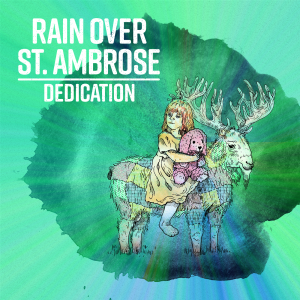 “Dedication” was recorded at New Scotland Yard in Dartmouth, Nova Scotia by Thomas Stajcer (Joel Plaskett, Erin Costelo, Mo Kenney), and mixed at the Castle of Doom in Glasgow, Scotland by Tony Doogan (Wintersleep, Mogwai, Belle and Sebastian). 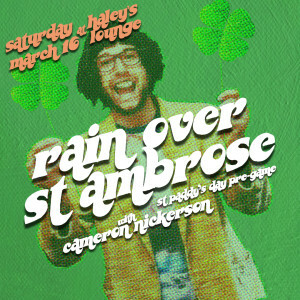 Back to where it all began, Rain Over St. Ambrose returns to Haley’s Lounge in Yarmouth for a special limited-access show. 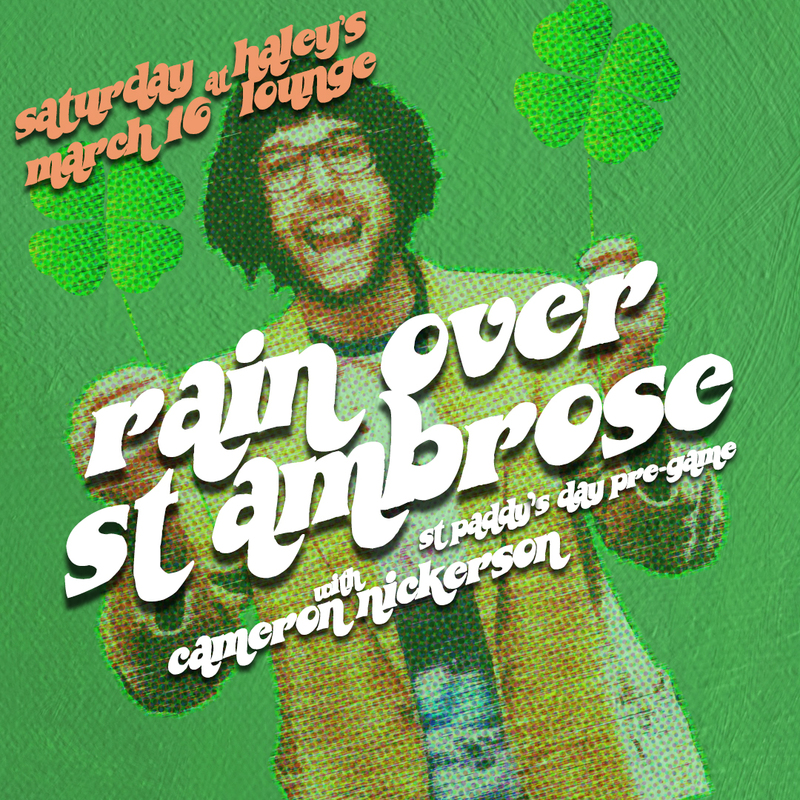 Acadian Embassy is proud to present the St. Paddy’s Day Pre-Game on Saturday, March 16 featuring everyone’s favourite hometown heroes and special guest Cameron Nickerson! Get yours today. They will sell out quick! RSVP on Facebook. 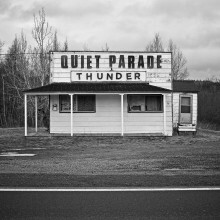 Quiet Parade unveils their brand new single, “Thunder.“ The track is available to purchase on Bandcamp and iTunes, and is also streaming right now on your platform of choice. The band has also coupled the single’s launch with a lyric video. Watch it on Facebook or YouTube. 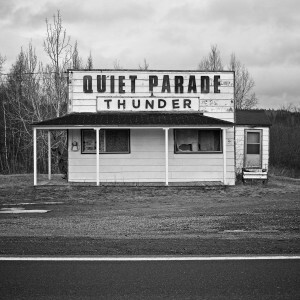 Recorded at New Scotland Yard in Dartmouth, NS, “Thunder” finds Quiet Parade leaning hard into their signature fog rock style, reveling in winding guitar lines, fading choruses, and words that go straight for the heart. Punctuated by chiming down-tuned electrics, haunting backup melodies, and crashing rhythms, “Thunder” is a story of longing for answers to questions never asked; a coastal-soaked sense of searching, mired in mist. The follow-up to their French-language debut, Nous Étions Icitte, “Thunder” is the first brand new music from the group in nearly three years. 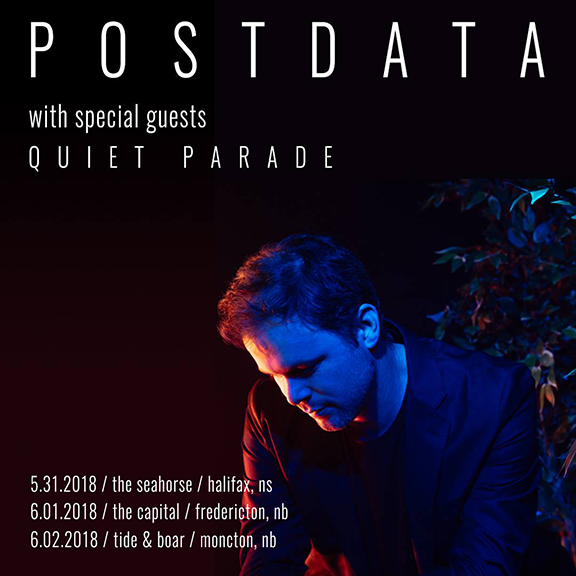 On the heels of the new song, Quiet Parade also announces several shows throughout the Maritimes including performances at the Halifax Pop Explosion and Nova Scotia Music Week. 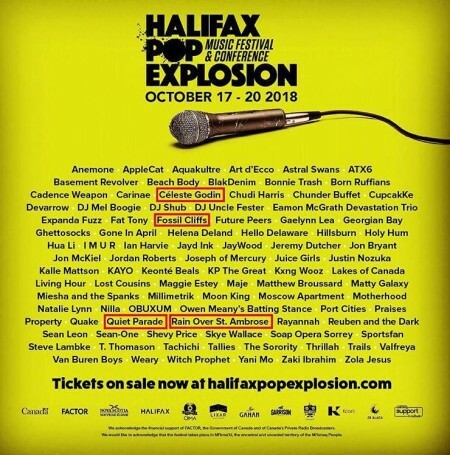 Acadian Embassy helps kick off the 2018 Halifax Pop Explosion Music Festival & Conference with a roster showcase. Rain Over St. Ambrose, Quiet Parade, Fossil Cliffs and special guest Céleste Godin perform at The Seahorse Tavern on Wednesday, October 17. Show starts at 8:00pm sharp. Get festival wristbands HERE. More details to come on night-of tickets & door pricing. The frontman of beloved Nova Scotia alternative outfit Wintersleep, Paul Murphy has built a circle of collaborators, friends, and family around him for more than a decade. Murphy first released music with Postdata in 2010, a self-titled debut that saw him working with his brother Michael to record a set of songs that dealt with family, legacy, and connection. Now, Postdata returns with Let’s Be Wilderness, a record characterized by those two old bickering friends: love and death. The brilliant new album is available on May 18, 2018. 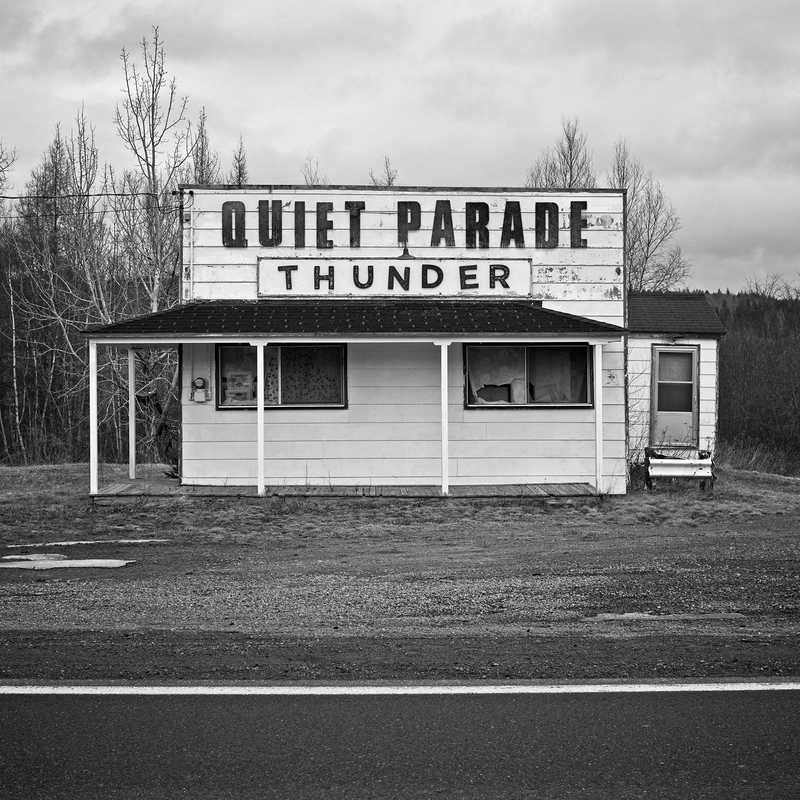 Focused and fearless, Quiet Parade presents introspective, bleeding-heart folk-rock shrouded in a little fog. Building on a foundation of nostalgia and longing, the Halifax-based band revels in winding guitar lines, fading choruses, and words that go straight for the heart. In the face of winter, the band unveiled their French-language debut – an EP titled Nous Étions Icitte. Featuring four translated songs that originally appeared (in English) on the band’s award-winning self-titled album, the record was released in February 2018.